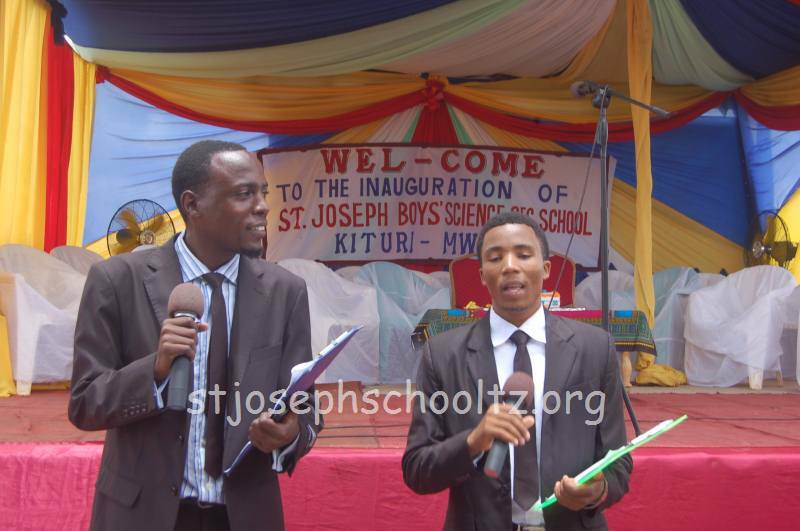 March 21, 2015 : Mangalore-Africa mission reached an important milestone on 21 March 2015 as the much awaited Saint Joseph Boys’ Science Secondary School Kituri situated in the district of Mwanga was inaugurated on this auspicious day. 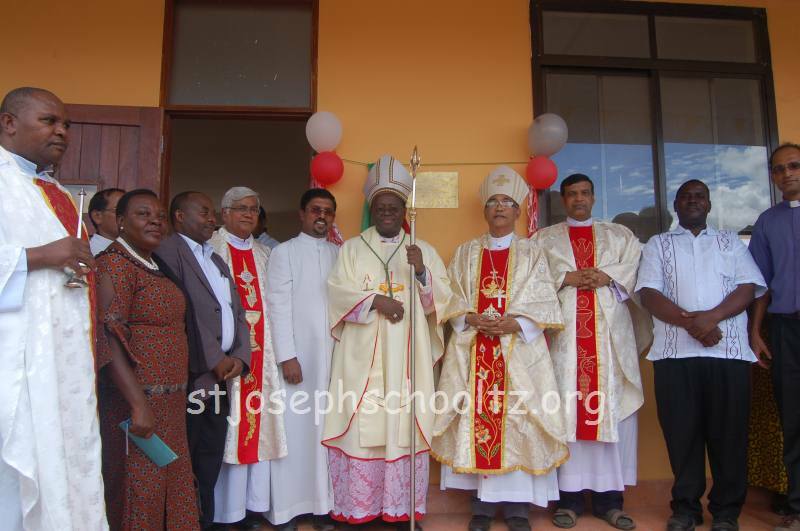 Most Rev Dr Aloysius Paul D’Souza Bishop of Mangalore accompanied by Most Rev Dr Rogath Kimariyo Bishop SAME diocese inaugurated the newly constructed school building followed by the invocation of Blessings of God Almighty on the same. 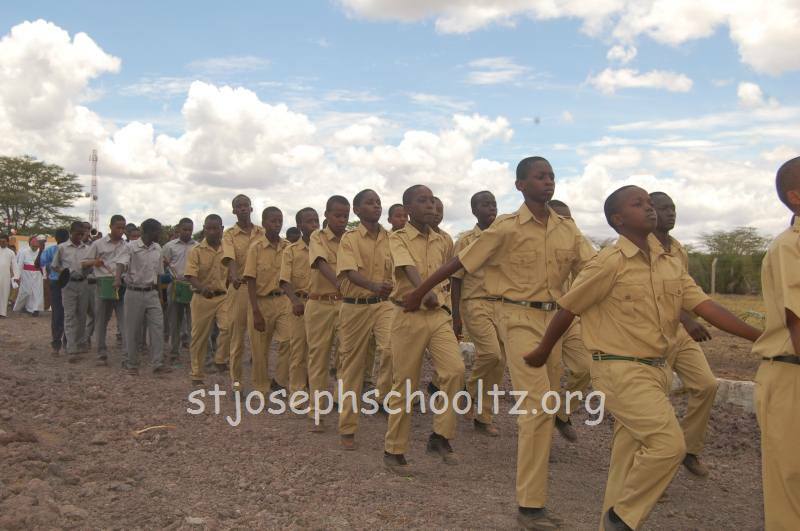 In his message the Bishop said that newly inaugurated school is going to be an instrument in moulding the young minds of future scientists, engineers, doctors and leaders of Tanzanian society. He narrated a Chinese proverb which says, ‘if you want fruits for one year sow seeds, if you want fruits for ten years plant saplings and if you are looking for results for hundred years start schools’. 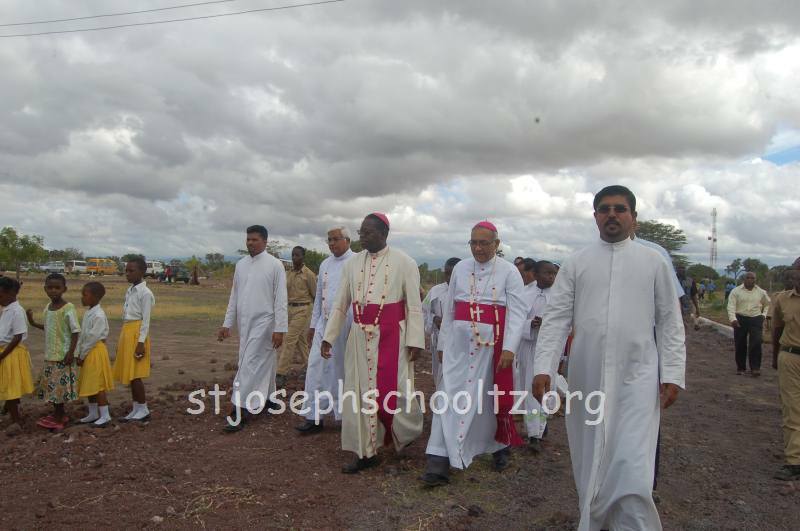 Accordingly the Bishop said that the school started by the Mangalore-Africa mission centre will form minds of young students who in turn will transform the society. The Bishop thanked Most Rev Dr Rogath for inviting to work in his diocese and for extending co-operation and support in carrying out the mission activities. 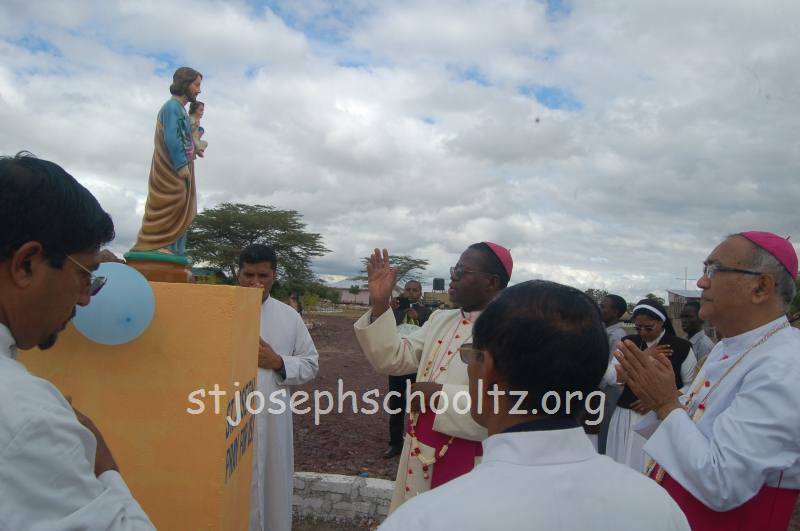 He also thanked Fr Alwyn D’Souza, Fr Ronald Pinto, Fr Victor Machado, Fr Hilary Lobo and Br. Stephen Cutinha for their tireless service at the mission centre. 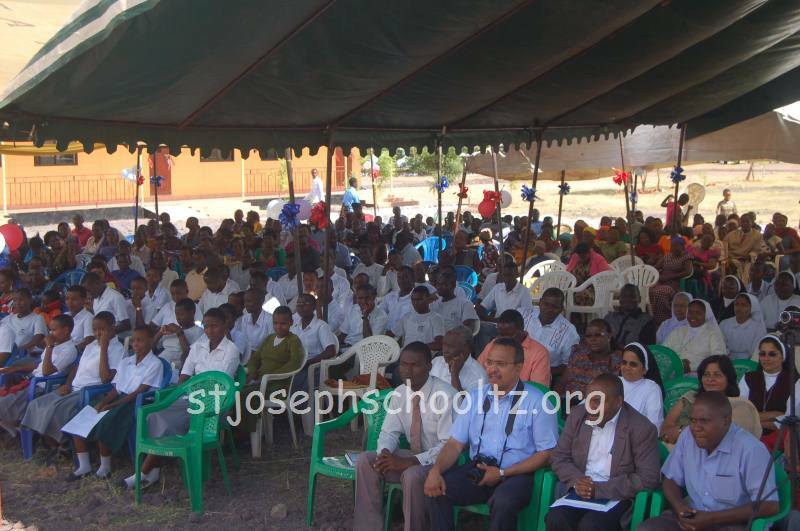 The School souvenir was released by Mrs Magembe spouse of Prof. J. Magembe, Hon. Minister for water and MP of Mwanga who could not be present as the Tanzanian Parliament was in session. 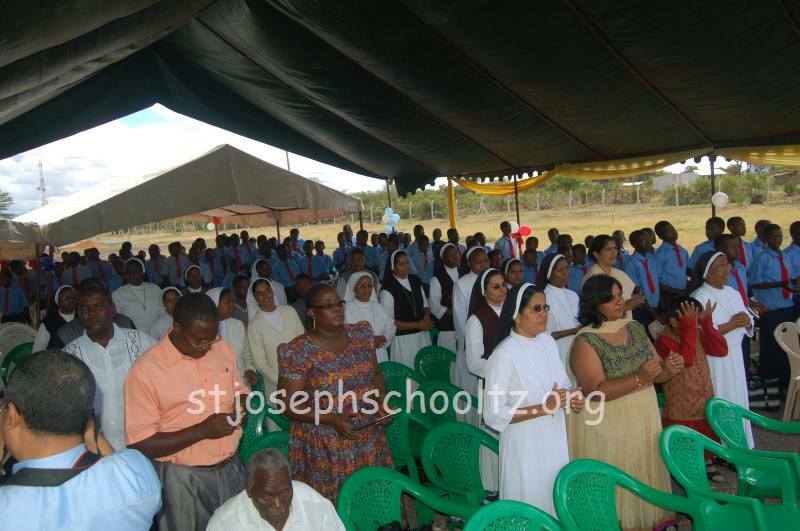 In her message Mrs Magembe appreciated the Catholic Church for the wonderful service rendered in the field of education. She on behalf of her husband extended whole hearted support and co-operation to the school and for the philanthropic activities to be carried out in that area. A Harambee (fund raiser event) was organized on the occasion which was well supported by the parents of the students and guests present. 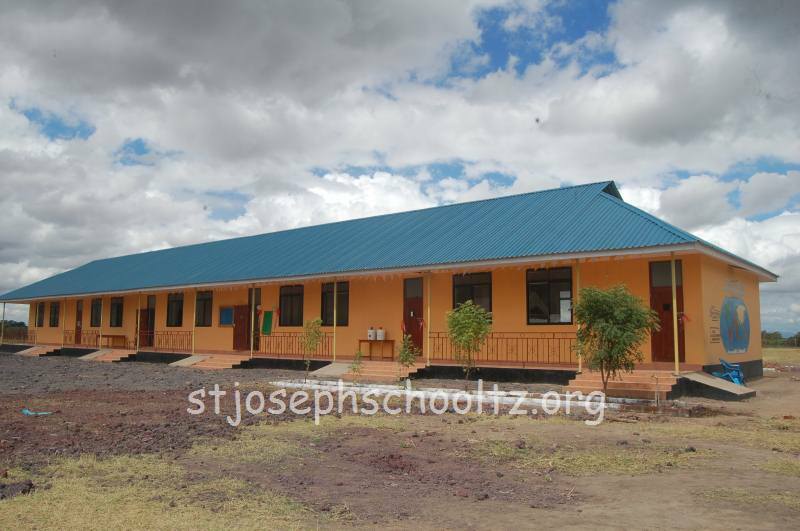 The newly designed school website www.stjosephschooltz.org was inaugurated by Mr Shaibu, Mwanga District Executive Director. Earlier during the day the Bishop Rogath presided over the Eucharistic Celebration and preached a homily suitable to the occasion. 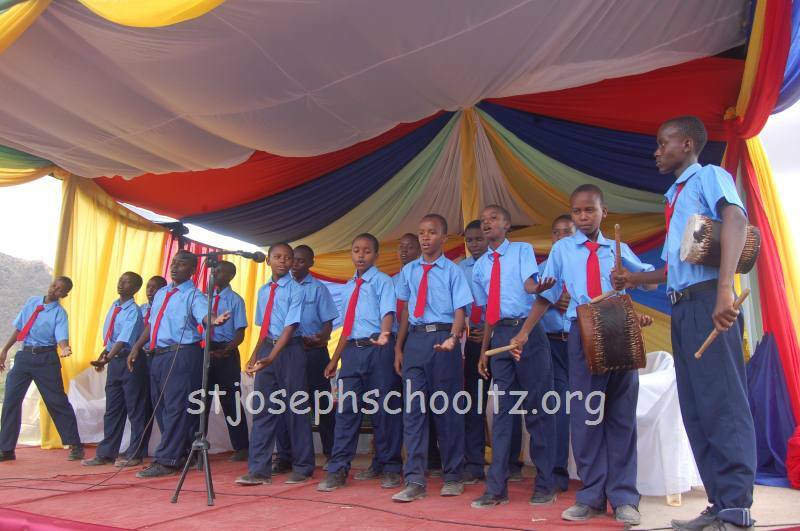 The students of the school presented a cultural programme on the occasion which was well appreciated by those present. 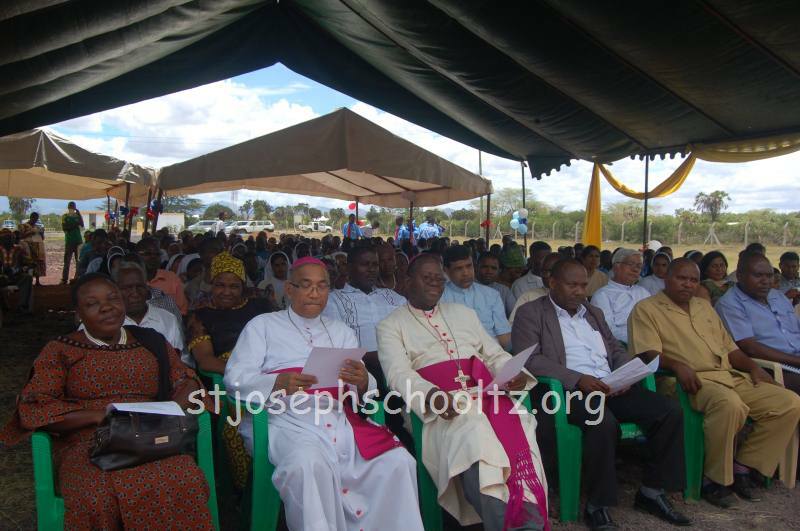 Fr Ronald Pinto, Head Master of the school welcomed the dignitaries, guests and the gathering. 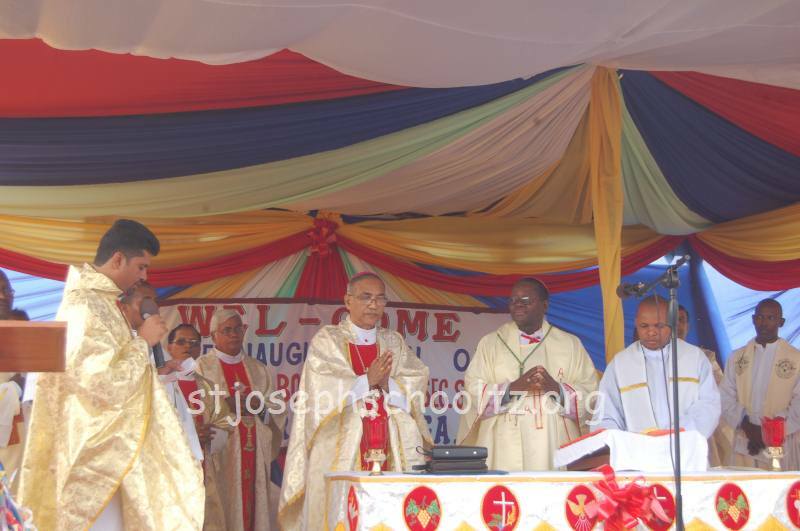 Fr Alwyn D’Souza, the manger of the school proposed the vote of thanks. 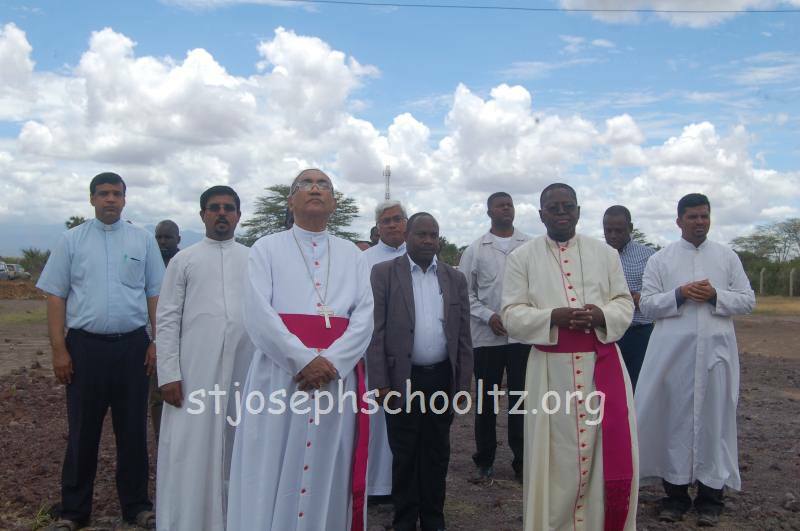 Msgr Everest Abedi, Vicar General of SAME diocese; Fr Vincent Monteiro, Parish Priest of Immaculate Conception Church Kinnigoli; Fr Onil D’Souza, director of Saint Anthony Charity Institutes Jeppu; Mr Vincent Mascarnhas, convener of media cell diocese of Mangalore; large number of priests from SAME, Arusha, Dar-e-Salem, Morogoro dioceses, Guests from Nairobi-Kenya, parents of students, govt officials of civic bodies were present on the occasion.